You must make the statement with the intent of misleading the court. 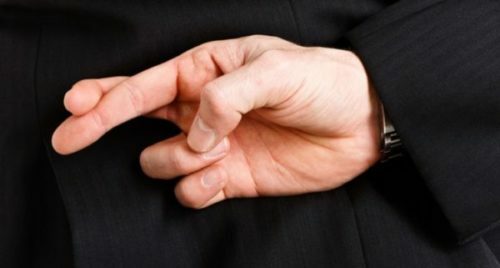 If your statements are inconsistent because you are lying under oath, the prosecution can accuse you of perjury without identifying which statement is false. The punishment for perjury in the UK may include having to spend time in prison, probation, or paying fines to the court. It can also interfere with their ability to obtain employment or security clearance, as they will be convicted of a crime of dishonesty. The consequences for perjury are very serious as this is wasting police time. It is triable on indictment and the charge is imprisonment of a term not exceeding 7 years, or a fine or both. There are many defences to perjury. A convincing defence may be that you were unaware that what you were saying was not true. Regardless, if you have been accused of lying in a court of law, you will need to have a lawyer who will represent you. At Bloomsbury Law, we have years of experience working in this niche area and we are accustomed to many unique situations. We appreciate that this may be a very overwhelming time and we can assure you that we are here to work with you in order to achieve the best possible outcome for your case. If you, or someone you know, has been accused of perjury, please get in contact with one of our specialists. We will listen to your side of the story and discuss the full picture with you, answering any questions you may have along the way and advising you accordingly once we are instructed. Contact us online or speak to one of our dedicated civil law specialists on 0207 998 7777 for a free initial consultation. With our vast experience in the field, our bilingual speaking team will work with you to ensure this process runs as smooth as possible. All information you provide us with is treated with the utmost confidentiality.